Australian airline Qantas says it wants to introduce nonstop flights between Sydney and London and will choose between the Boeing 777X and Airbus A350-900 to fly this ultra-long-haul route. It’s challenging the plane makers to tweak the designs to handle this extra range. Australian airline Qantas said it wants to introduce nonstop flights between Sydney and London in 2022 and will choose between Boeing’s new 777-8X and Airbus’ A350-900 to fly this ultra-long-haul route. At a Sydney news conference Friday morning in Australia, Qantas Chief Executive Alan Joyce said the airline has asked Airbus and Boeing to deliver versions of those aircraft capable of flying regular nonstop between southeastern Australia and Europe with a full passenger load — routes that require one intermediate stop today. “I have written to the CEOs of Boeing and Airbus to extend the challenge to them,” Joyce said, citing not only the longest of his routes, Sydney-London, but other ultra-long-haul routes, including Brisbane-Paris and Melbourne-New York. “This is a last frontier in global aviation, the antidote to the tyranny of distance, and a revolution for air travel in Australia,” he added. A direct flight would cut up to four hours of travel time off the journey from Sydney to London. Qantas is now positioned to make a big jet order after a recovery of its financial health. After a massive loss in 2014, Qantas laid off thousands of employees in a restructuring over the past three years. Joyce on Friday announced a profit for the past year of $933 million. Whichever of the two ultra-long-haul planes Qantas chooses, they will join the Airbus A380 superjumbo jets currently in its fleet and Boeing 787 Dreamliners set for delivery within the next year. Thursday’s challenge is an invitation to the rival plane makers to tweak their designs for extra range in an attempt to win Qantas’ business. For Boeing’s sales team, the goal will be to maintain the jet maker’s long-standing relationship with Qantas, which has flown 747 jumbo jets for more than four decades. By the early 2020s, Qantas plans to retire the last of its aging 747s. Boeing wants those to be replaced by the 777X. Flying nonstop from Sydney to London has been a longtime dream of Qantas. The original “Kangaroo Route” that opened in 1947 required hopping across the globe over four days with seven stops. By 1989, the range of the 747 allowed the journey to be completed in one stop and 24 hours. To make it from Sydney to London nonstop, Qantas wants an aircraft capable of flying over 10,400 miles. “Both manufacturers are developing aircraft that can almost do the job — the Boeing 777X and the Airbus A350ULR. We believe advances in the next few years will close the gap,” Joyce said. Qantas has dubbed the endeavor “Project Sunrise,” a nod to the “Double Sunrise” flights operated by Qantas across the Indian Ocean during World War II, which remained airborne long enough to see two sunrises. The standard Airbus A350-900 with 325 passengers has a range of only 9,300 miles. However, Airbus is developing a special ultra-long-haul version, the A350-900ULR, modified to carry extra fuel that it says is designed with a range of about 11,100 miles. Scheduled for first delivery next year, it’s unclear how many passengers it could carry on the Sydney-London route. 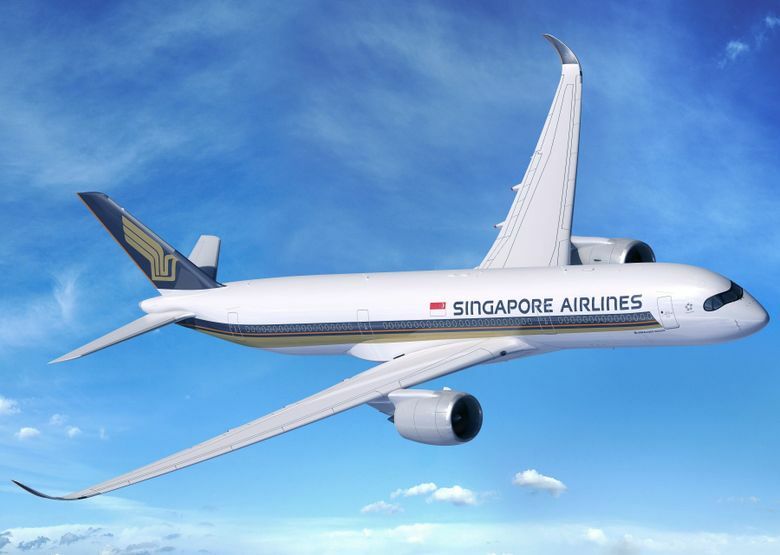 Singapore Airlines intends to fly it between New York and Singapore with just 170 passengers, all with business-class seats. 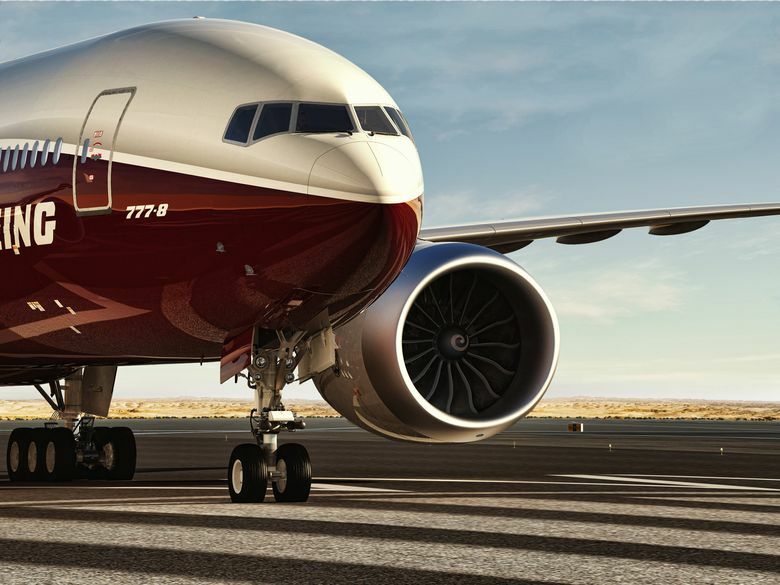 Boeing’s 777-8X will be the second, smaller model of the 777X and is scheduled for first delivery in 2022. With 350 passengers, it’s currently designed with a range of only about 10,000 miles. Boeing could potentially add extra fuel tanks to make the 777X suit Qantas. Or it may try to make the jet work with fewer passengers and other weight reductions. Versions of either plane could make the journey nonstop if they flew with few enough passengers. The key will be to have enough range with the maximum number of passengers. In July, Bainbridge Island-based aviation consultancy Leeham.net did a detailed analysis of the rival planes specifically for the Sydney-London route and concluded that the Airbus jet could make the trip with 230 passengers and the Boeing jet with 305. The Airbus A350, because it’s smaller, would cost the airline less to operate per trip. But Leeham’s analysis concluded that the operating cost per seat would be 4 percent lower with the Boeing 777X. The A350-900ULR will have a head start over the 777X, which is not even built yet. Boeing will have to make its performance targets to achieve the advantage Leeham projects. On top of that, the sale price of the planes will be another huge factor. Leeham’s analysis concluded that the cost differences are sufficiently slim that the final choice between the smaller Airbus jet and the larger Boeing one may depend on how much passenger traffic Qantas anticipates.